Tatooine Skiff Chewbacca, also known as "bad hair day" Chewbacca, was made from a Hoth Chewie. I used paint remover and removed all the white paint. 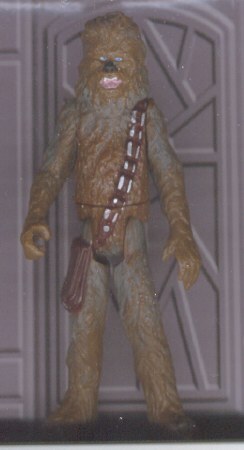 I then dry brushed some grey over his body (Chewie looks a little greyer in ROTJ). Now you have a "wind blown" Chewie for your Tatooine Skiff.